Davis, CA and UC Davis are very unique. We were driving down to a favorite hiking spot, Putah Creek this past weekend, and noticed a sign along the way. It dawned on me just wildly unusual this sign we always drive by really is if you think about it (see at right). I think Davis, CA is the only place on Earth that could have a sign like this. What are the three things written on the sign? Viticulture is the science, study, and production of grapes. Perhaps it is not surprising that UC Davis would have this sign. If you plug “viticulture” into Google, the second top search result takes you here to UC Davis. Enology (also Oenology), according to Wikipedia, is the science and study of all aspects of wine and winemaking EXCEPT growing and harvesting grapes. Hence, Viticulture and Enology are not really overlapping but more complimentary fields. 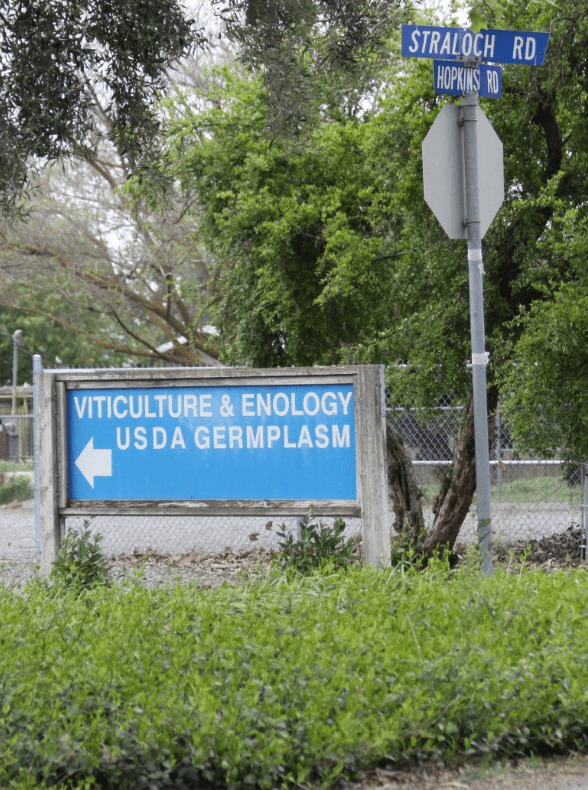 “USDA Germplasm” can be investigated further here. The word “germplasm” is freaking awesome if you ask me. In the plant world it refers to a part of a plant that can be used to grow the plant OR it can mean the repository where such genetic resources are stored. Dr. August Weismann discussed stem cells using the two-word term “germ plasm” all the way back in 1885. You knew there had to be a stem cell connection right? More on the real history of stem cells and who discovered stem cells can be found here. I will be certain to contemplate the connection between wine and stem cells this summer while sipping 6 Puttonyos Tokaji Asszu in my vineyard in Hungary.